Named after the Bullfinches which are a regular sight and sound in the nearby Wayland Wood, The Finches is a delightful development of beautifully designed homes of character, combining a variety of sizes and types which blend together to form an attractive community with its own identity, whilst being a part of the wider community of Watton. There are homes to appeal to everyone from stylish apartments to spacious three bedroom homes. "We only build homes that we’d be happy to live in" That’s why The Finches apartments and houses are designed to provide stylish and high-quality accommodation and a real sense of space and light. Within easy reach of Watton’s many amenities, The Finches offers an ideal environment for individuals, couples and families who wish to enjoy life in the Wayland countryside without compromising on the convenience of town life. practical, well laid out living space. At Alfred Charles we are equally concerned to ensure that we have chosen the right materials, bricks, roof tiles, render colours, window styles and landscaping so the site blends together to provide a finished product that endures, improves with age and is always pleasing to the eye while providing homes where owners can take pride in their community. So, with all the essentials taken care of, you can focus on adding the personal touches that will make your Alfred Charles house a home. 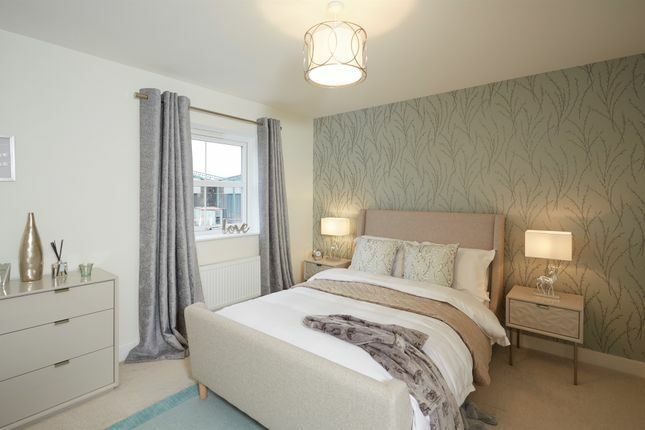 The Dunhill is a lovely three bedroom home spaciously laid out over three floors. On the ground floor the entrance hall leads directly through into the living/dining area, with the kitchen accessible off the entrance hall. The first floor houses bedrooms two and three and a good sized family bathroom. Up the stairs onto the second floor is an extremely spacious master bedroom and en-suite. Property descriptions and related information displayed on this page, with the exclusion of Running Costs data, are marketing materials provided by William H Brown - Watton, and do not constitute property particulars. Please contact William H Brown - Watton for full details and further information. The Running Costs data displayed on this page are provided by Homes24 to give an indication of potential running costs based on various data sources. Homes24 does not warrant or accept any responsibility for the accuracy or completeness of the property descriptions, related information or Running Costs data provided here.